This series of 12 progressively graded exams is designed for speakers of languages other than English and sets realistic objectives in listening to and speaking with English speakers. 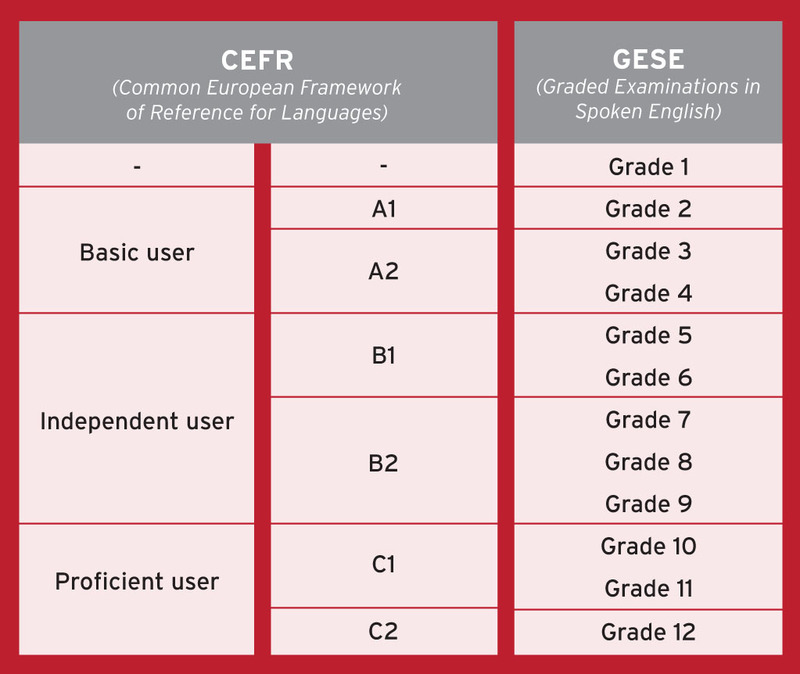 The 12 grades provide a continuous measure of linguistic competence and take the learner from absolute beginner (Grade 1) to full mastery (Grade 12). A major benefit of a graded exam system is that it provides a motivational tool with which to encourage learners to develop and progress by acknowledging small steps. All learners make progress at different rates, and a graded system ensures that at every stage of their development there is an opportunity for them to mark that progress. The exams take the form of a one-to-one, face-to-face oral assessment between the candidate and an examiner. The exam at each stage, and with increasing demands at each grade, replicates real-life exchanges in which the candidate and the examiner pass on information, share ideas and opinions and debate topical issues. The exam suite builds from simple conversation where the aim is to exchange basic information to more complex discussions, presentation and interactive tasks in higher grades. Downloadable resources for teachers. These resources are provided for non-commercial use free of charge, but are not guaranteed to cover all necessary content for each GESE grade. Teachers preparing students for a GESE exam should refer to the requirements in the information booklet.